Since the beginning of the 20th century, Hungarian architecture has been shaped by a search for a national identity, on the one hand, and a wish to achieve international status, on the other. In Budapest you can view ornamental buildings by Ödön Lechner alongside Bauhaus architecture, organic architecture side by side with post-War Modernism. Since the Wall came down in 1989, construction activity has focused on commercial architecture and new architectural highlights are rare. It is perhaps symptomatic of Hungary’s current political situation that the best example of contemporary Hungarian architecture is to be found beneath the ground, in the new M4 subway line. 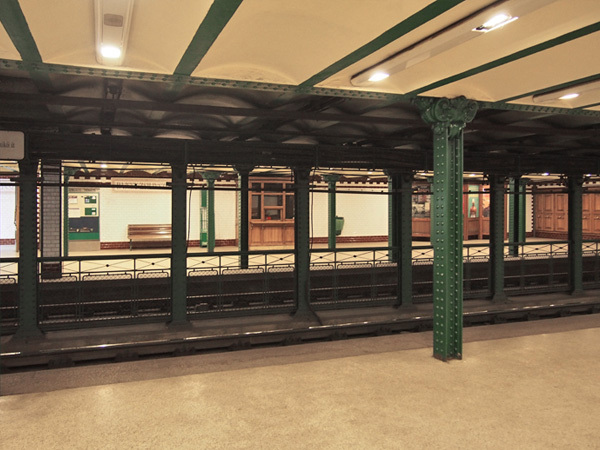 As early as 1896, the first subway line went into operation in Budapest. It was the first ever subway on the European continent. Today, the three underground lines serve 3.5 million passengers daily. In the 1980s, planning commenced on a fourth line, but it was not until 2004 that construction of the M4 started. This April the 7.34-kilometer-long line was commissioned. It connects the Eastern Railway Station downtown with the large housing estates and the Kelenföld Station in the city’s southwest. And it is doubtless Budapest’s most important infrastructure project in 30 years. The ten stops were designed by different architectural offices, the two most beautiful ones, namely Fővám tér and Szent Gellért tér, were designed by the young company sporaarchitects. The architects encountered various obstacles when designing the stops. The 1980s planning had to be adapted to current requirements. The stops are, moreover, located in an area that is part of the UNESCO World Cultural Heritage site so that intervention at the surface had to be kept to a minimum. Above all, planning the transport node at Fővám tér was a tall task. There, the new subway interconnects with existing bus, tram and shipping lines, all of which had to be linked up. The same construction system was thus used for both stops. Slits were cut into the ground from above, and the earth in-between excavated storey by storey downwards to track-level. 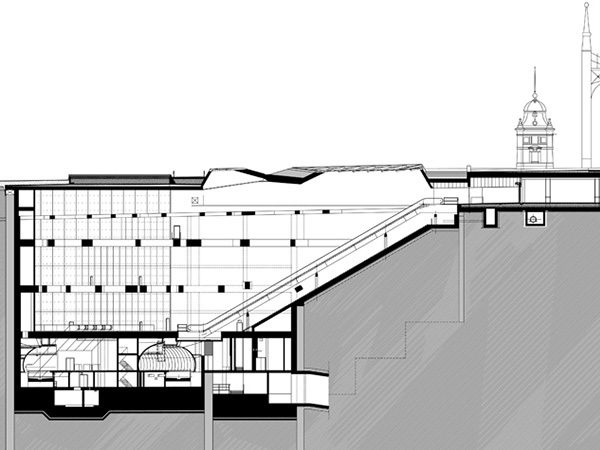 At the same time, the walls were reinforced by an inset box structure and massive struts. The concrete box and the reinforcing struts absorb the huge forces involved, as both stops are in the direct vicinity of the Danube. 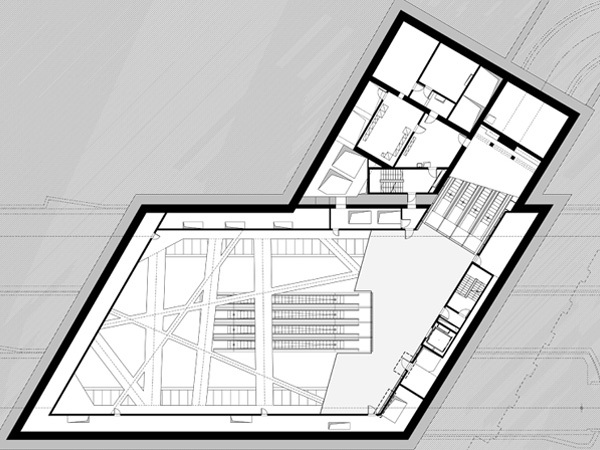 The architectural and structural idea derives from a change in the distribution of the bracing struts. This enabled a flexible response to the frequent changes in the planning process without the concept as a whole needing to be changed. You get a sense of the sheer space best if you stand right at the bottom on the platform. Although you are now 30 meters below ground, you never have the feeling that you are confined or shut in. 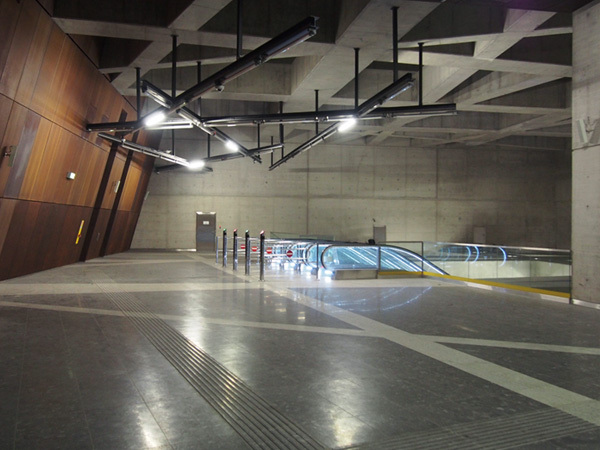 The struts bring natural light from above right down to the platform level. Passengers will be reminded of the light atmosphere in Budapest’s West Railway Stations, designed in 1874 by none other than Gustave Eiffel. 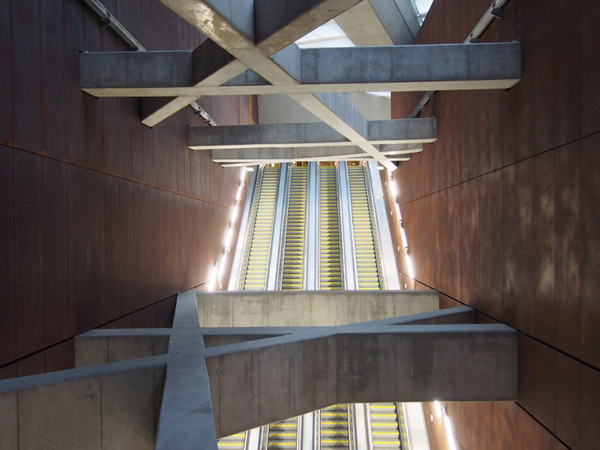 The material shape given both subway stations is similar: fair-faced concrete and Corten steel panels dominate the walls. 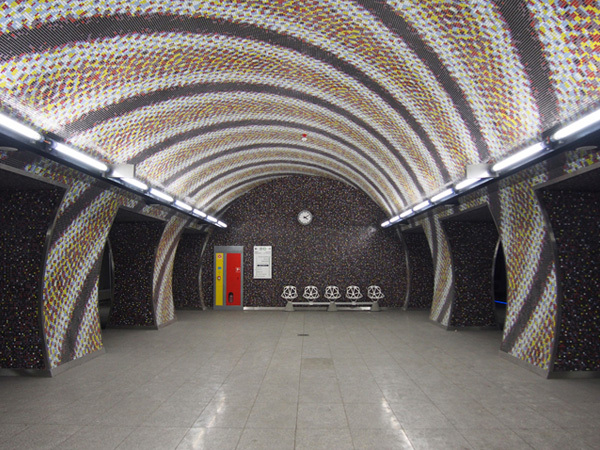 In the Szent Gellért tér stop, the tunnels are clad with colored mosaic stones. Chairs by Konstantin Grcic reiterated the motif of the reinforcing concrete grid. The absence of adverts is striking. While other stops on the Budapest subway boast walls covered with ads along the escalators, there are none here. After protracted negotiations with the developer, the architects managed to make certain that only at a few places were large LED screens installed. They will be used to display ads and art videos. A full 140 years after Gustave Eiffel’s West Railway Station, sporaarchitects demonstrate with the two new subway stops that infrastructure buildings offer great design potential. The new line will influence other urban development projects for sure. 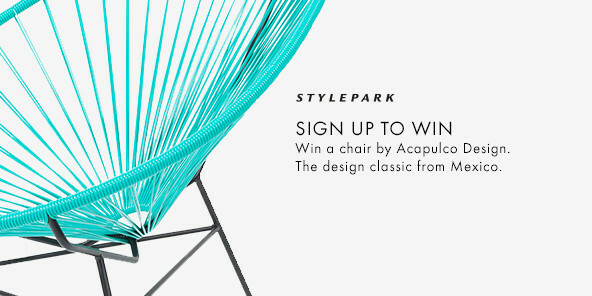 Hopefully as regards architectural quality, too.